Welcome to the best boardgaming club in the world! 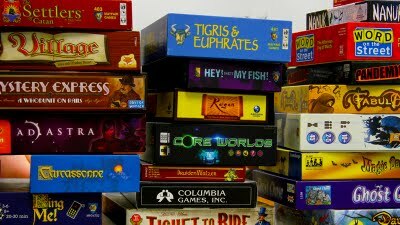 Welcome to the Columbus Area Boardgaming Society! We want to welcome you to the wonderful world of boardgaming. While If this is your first time visiting our website, you are about to enter a world that many might not have known even existed. If you are familiar with "euro" games, thematic games, or war games then you will feel right at home with us. Come, join us at our next meeting! New to hobby board gaming? We have all played games like Monopoly and Clue. We still play these on occasion. But boardgaming has become a rapidly growing industry in the last 20 years, with a variety of game mechanics that go way beyond the traditional "roll-and-move" format. In fact, many of the games we play CABS have little or no luck at all, with the outcome of the game solely determined by the decisions of the players.